Our platform provides journalists with data and information on EU topics which concern people worldwide. As website operator the Datenfreunde GmbH (OpenDataCity) based in Berlin contributes public survey results and social media monitoring related to the EU subjects covered. Interested media are invited to use these tools on their own websites. For this project the news agencies AFP, ANSA and dpa work together on the European Data News Hub (EDNH) with the aim of developing new ways of displaying and providing data-based news packages consisting of images, videos, radio clips, interactive graphics, information graphics and texts in five languages. We aim to keep media and subscribers informed on EU topics but we also seek to stimulate discussion on the issues which are changing our world. These include environmental protection, migration and employment matters. The project receives funding from the European Commission but its editorial content is impartial. 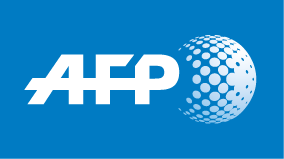 AFP, ANSA and DPA disseminate content via their networks and through numerous newspapers, television and radio stations worldwide. The German Press Agency dpa is a trusted, accurate and independent provider of news with the digital and multimedia content to power the media at home and abroad. Our customers benefit from the extensive global network of correspondents and editors maintained by Germany's leading news wire. News gathering is completely free of outside influence which in turn guarantees that coverage lives up to the strict requirements of the dpa charter: This document lays down that reporting must be free of bias and unfettered by political, economic or governmental ideologies. Print media, radio stations, online and mobile communication providers in more than 100 countries rely on this journalistic excellence around-the-clock. Among dpa clients are parliaments, governmental and non-governmental organisations as well as businesses and public relations agencies. They all derive news content from the wide range of products and services provided by the dpa group of companies. ANSA is the leading Italian news agency and among the top news agencies worldwide. It is a cooperative owned by Italy's major national newspapers. Its mission is to gather, publish, and distribute news items and every other related communication service in real time to the partners, to the civil service and to private companies. Founded on January 13, 1945, ANSA provides full and up-to-date coverage of Italian and foreign news thanks to newsrooms and correspondents in every one of Italy's 20 regions and in more than 70 countries around the world. Thanks to its widespread presence in Italy and abroad as well as key partnerships with international media, ANSA is on location wherever events are taking place, when they are taking place. 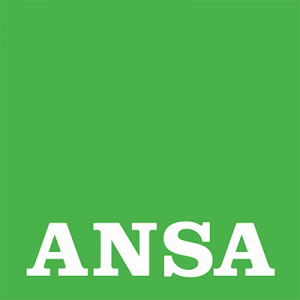 ANSA provides over 3,500 news items, more than 1,700 photos and 60 videos a day from Italy and the world, 24 hours a day, 365 days a year, in six languages: Italian, English, Arab, Spanish, German, and Portuguese. This continuous flow of daily information is distributed via every informational channel – from traditional media to the web, from mobile phones to tablets – in response to user and market needs. ANSA's founding values of independence, trustworthiness, and timeliness have confirmed it over the years as a leader on both the national and international newsgathering and information front.